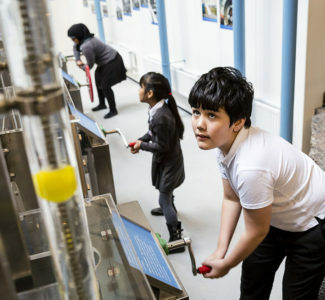 With a core focus on history and science, the Museum is a fantastic space for your pupils to discover an array of topics, from hitching a ride on our steam train to finding out about the real-life heroes of the industrial revolution! 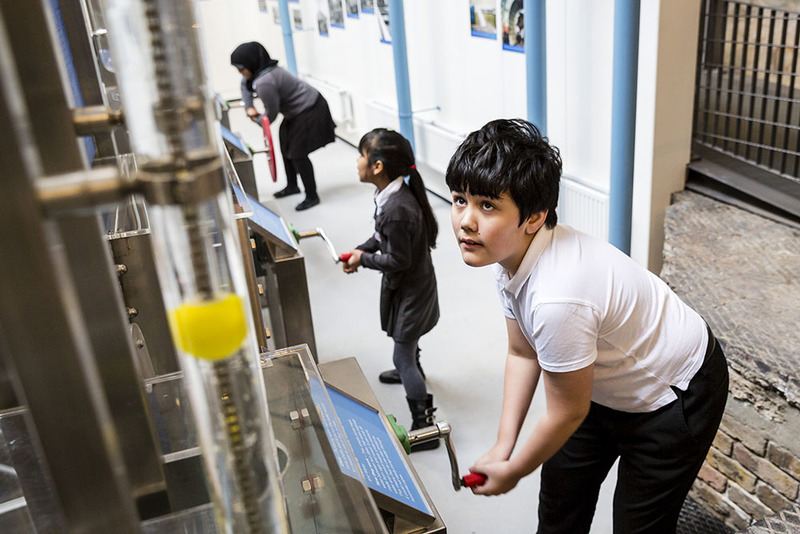 Bring your pupils along for a unique learning experience alongside our world-famous collection of working steam engines. Our sessions are currently under development, to form greater links to the National Curriculum. You’re welcome to email or call us on the details below to discuss your requirements. Our museum is ideal for primary schools, with educational sessions for Key Stages 1 & 2. Please click on the appropriate tab on the right to find your sessions! For £180.00 per class of up to 30 pupils, key stage 1 and key stage 2 school groups can enjoy a fully hosted day with a session on Victorian Washday or Water Filtration. The day will also include a subject focussed tour with the Learning Coordinator, use of the lunch room, and time to explore for yourselves. For £240 per class, pupils can witness the power of steam with a Full Steam Ahead stationary engine session, or a Locomotive session including a ride along the railway. Please note that as we are a small museum, we can accommodate a maximum of 60 pupils per day. Visits normally last from 10:00 until 14:00 and, once you have told us which sessions you would like, our Learning Coordinator will design a schedule to meet your school’s individual learning needs and outcomes. Email us at learning@waterandsteam.org.uk or give us a call on 0203 728 4973 to book your session!